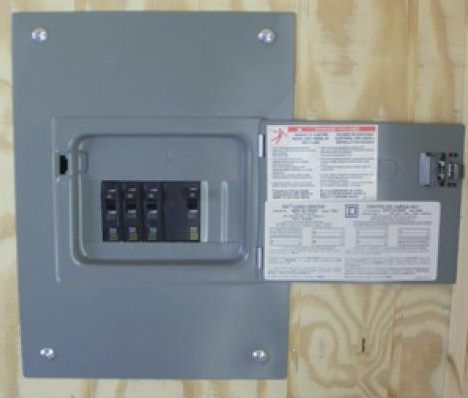 Add a few outlets for your tack room or create the perfect ambiance for your Pop Up Shop. 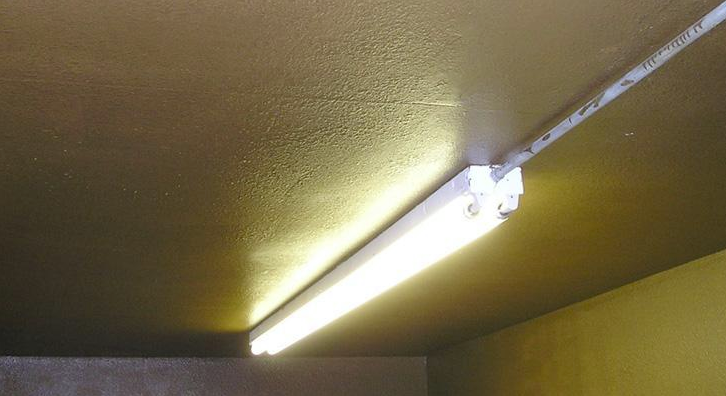 Our electrical and lighting packages range from minimalist to ornate. 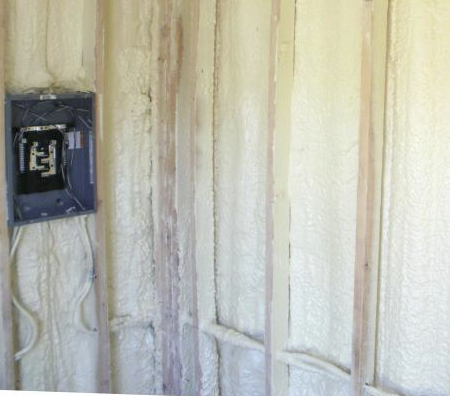 Insulation is KEY in Arizona’s temperamental climate. 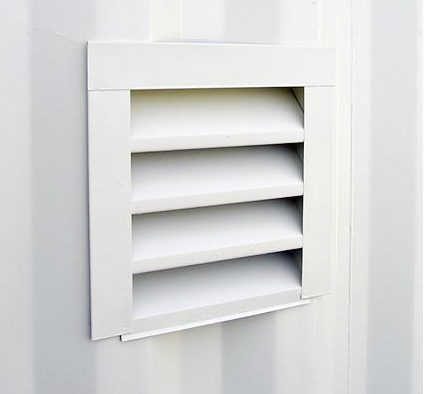 It helps protect your belongings from harsh weather conditions and maintains a consistent temperature year round. 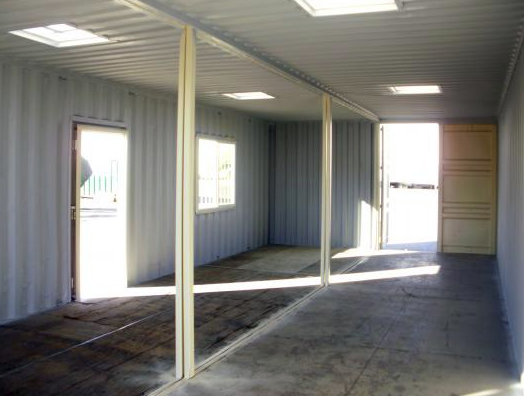 We offer everything from conventional roll in insulation to ultimate open cell and closed cell spray foam insulation. 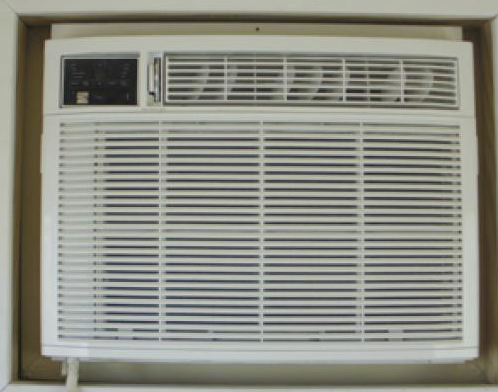 Heating, cooling, and ventilation options help regulate the temperature. 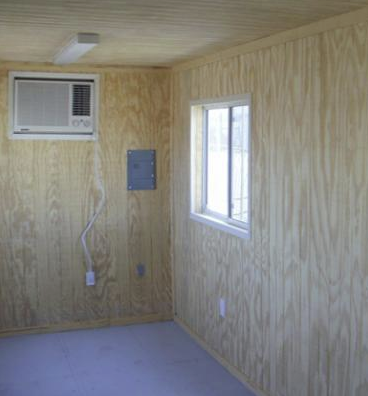 We provide 110 or 220 volt through wall heating and air conditioning units, 220 volt mini split heating and air conditioning units. 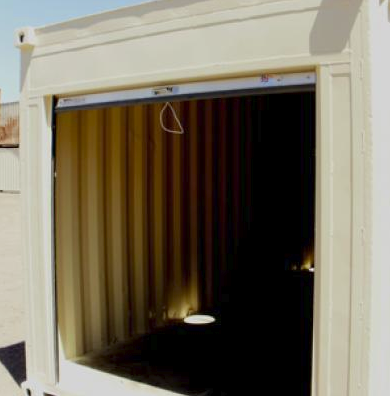 Fireproof steel strongboxes provide increased protection for the container’s contents. 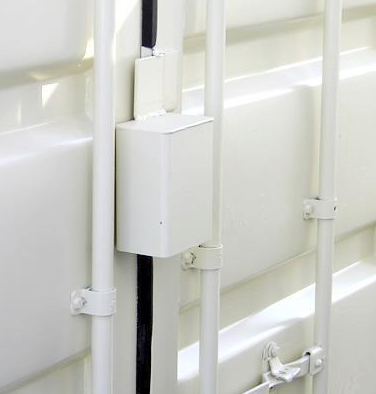 Alarm system: For additional security, a monitored alarm system can alert authorities to a potential break-in. 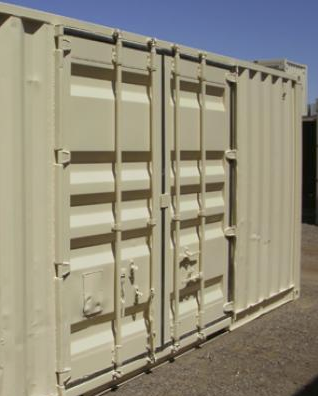 Storage containers are typically available in neutral factory colors like beige or gray. 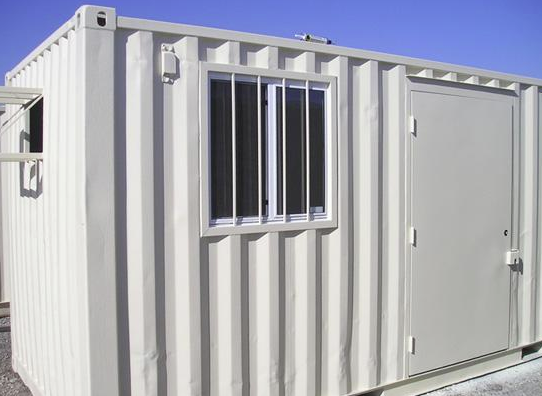 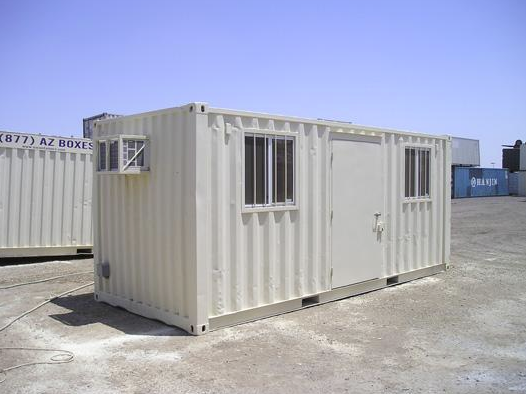 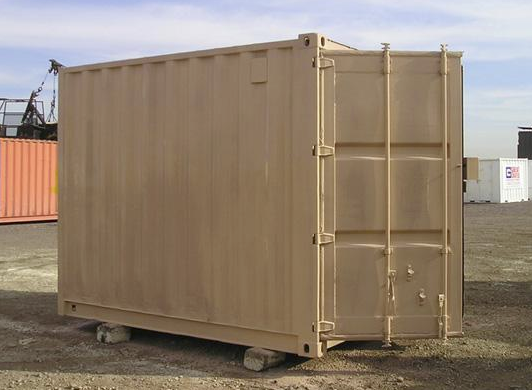 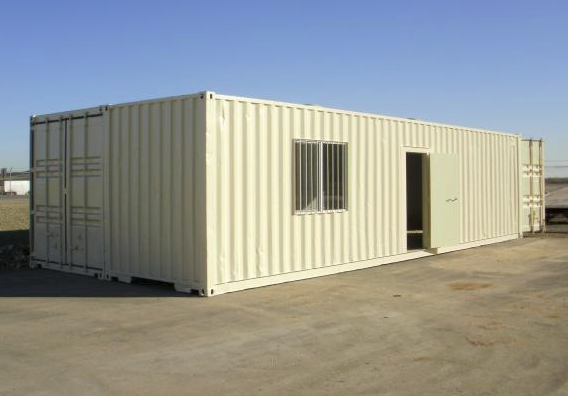 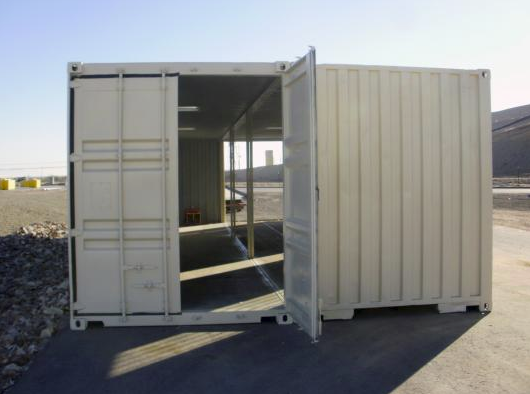 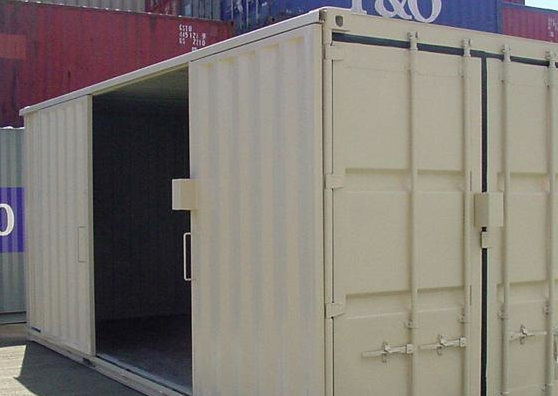 If the container is going to be in a highly visible location or you just want a cleaner looking esthetic, you may want to have it painted in custom colors or even with your corporate logos. 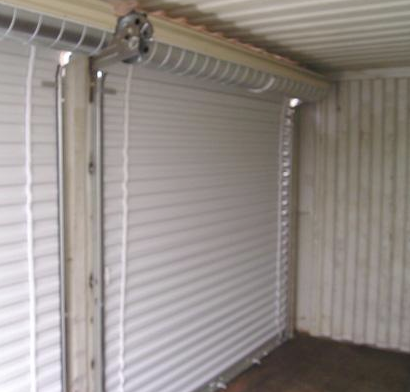 Create easier access to your unit by installing a roll up garage door. 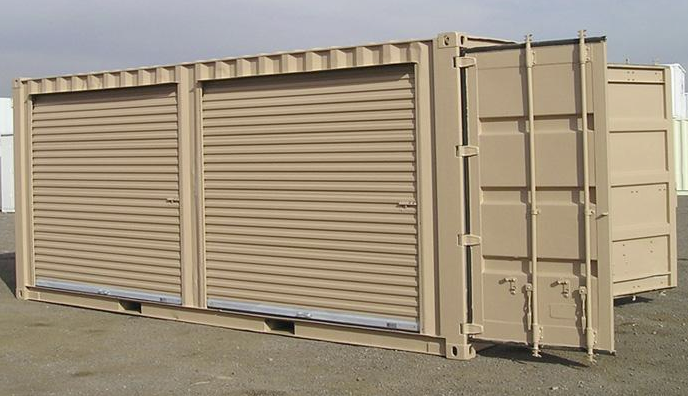 We install 6′, 8′, 10′ and 12′ doors in a wide variety of colors. 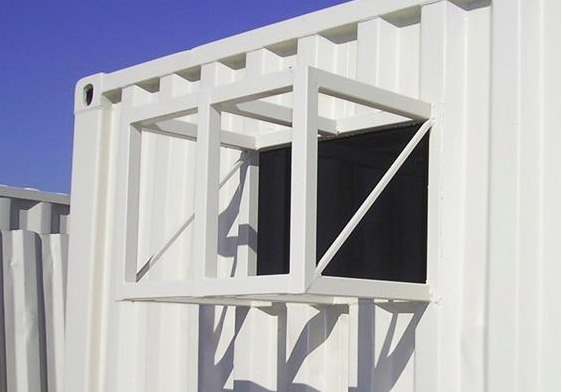 American made adjustable shelves can help you organize your contents or even display items in a store . 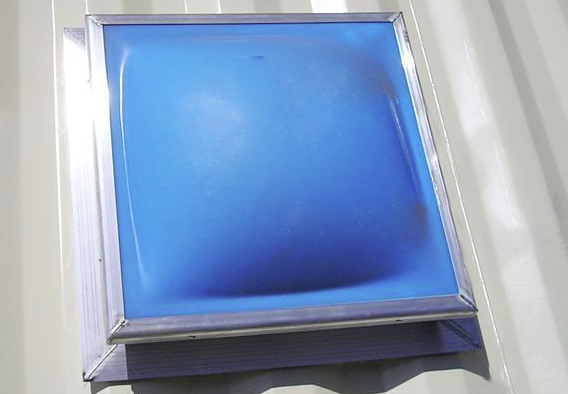 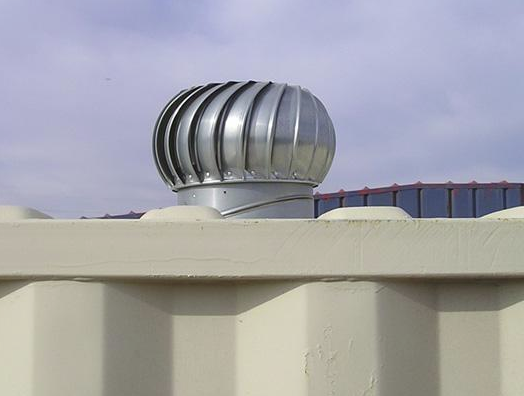 Turbine and louver vents allow air flow into the container to reduce heat and humidity. 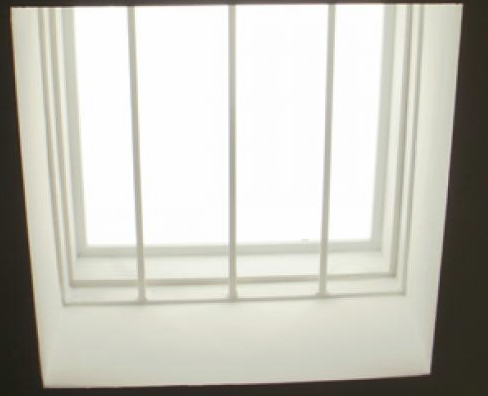 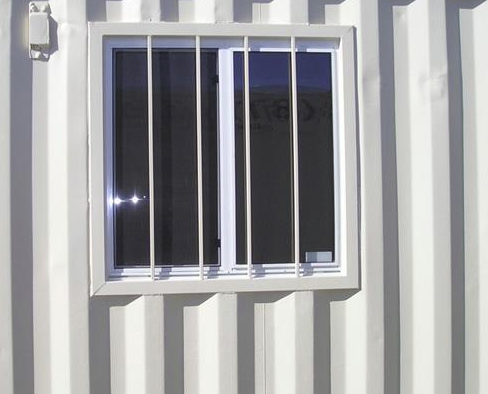 We can install any kind of window to add natural light to your container; from our standard 3′ x 3′ double pane energy efficient vinyl window with or without security bars to any sized customized picture windows. 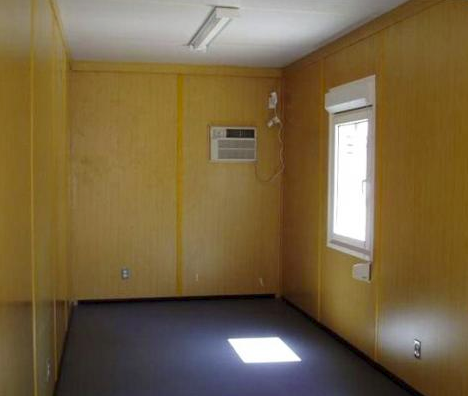 Don’t see the modification your looking for? 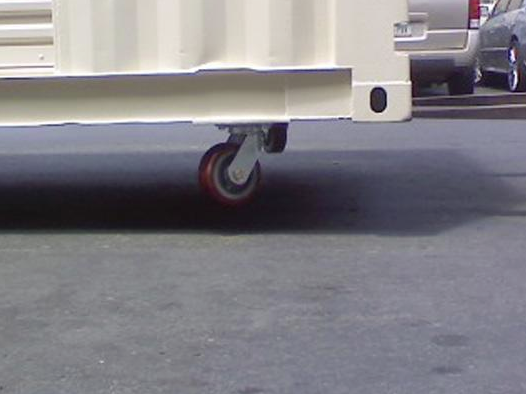 Don’t worry, we can do it. 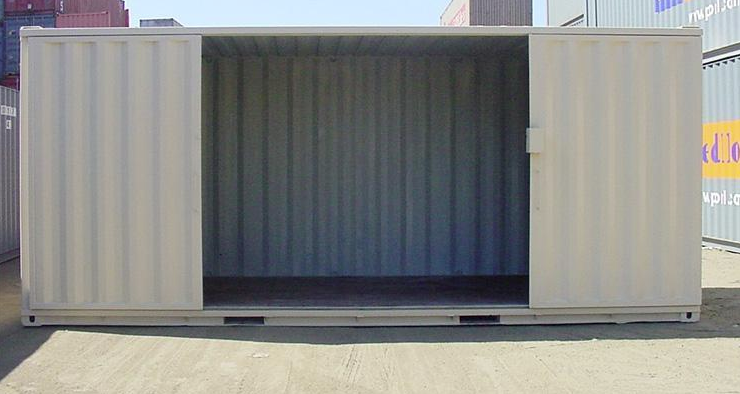 Simply contact our sales staff.